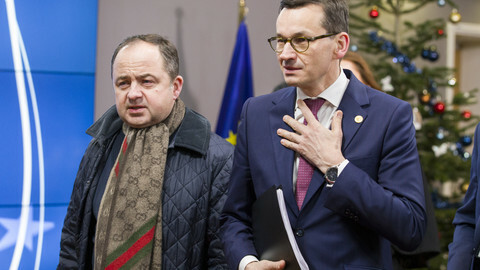 Did you expect the change of prime minister in Poland, with Mateusz Morawiecki replacing Beata Szydlo? - and is it really a change? Is it for better, for worse, or just a diversion? 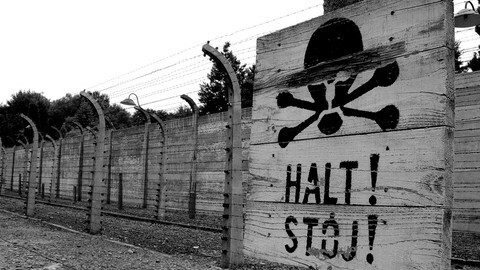 At some point, we neglected democracy and a tragedy happened in Poland. Irresponsible people have come to power. And today I turn to all patriots and friends – help us get rid of those people as soon as possible. You talk about 'regaining independence', you go out to the street to protest against the government, and yet according to most recent polls the support for Law and Justice (PiS) reached 50 percent. So maybe Poles are in fact satisfied with the situation? Why refuse them that? First of all, it's propaganda. Secondly, Poles are overworked, they have many problems nowadays and this is why they are not interested. Meetings with politicians are boring. That's why they come home, turn on the TV and - as we know - the main channels are controlled by those people. And this is why it will be only when they realise that the populism and demagogy do not work, that there is less money in their wallets when they were supposed to have more, that they begin to think and stop believing that this bunch can do something for them. Do you have an idea for a message that would appeal to people's emotions? The problem is that so far I don't. At this point it is difficult to come up with something that would appeal to masses and gain support. You would have to outbid the government. They offer 500 zlotys [around €119], so the opposition offers 1,000, something like this. Because of this, it is difficult to be the opposition, when our democracy and ways of engagement are still so young. And this is why the opposition faces, and will continue to face problems, as long as populism works. 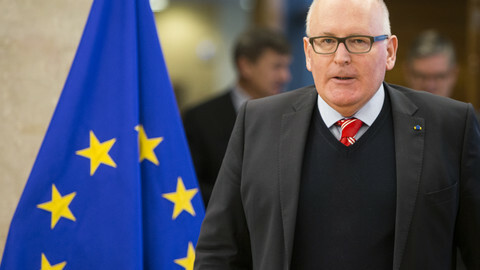 In an interview last year you stated that the EU should expel Poland. Do you still think this way? I had never said a bad thing about Poland, and especially abroad. But we had never been a member of such an organisation. This is why our behaviour was so 'Poland-oriented', and we were less interested in the outside. Now that we are part of the European family, we have to respect it. But the EU and our own politicians, don't say this enough – that we are part of an organisation and this organisation, called the European Union, has its rights and obligations. And obligations include complying with all decisions by the majority, or not being part of such a group. And here I have to be clear – stop playing cat and mouse! You have said that you would have supported the European Parliament's resolution criticising Poland. Portraits of six Polsih MEPs who did support it were 'hanged' in a far-right demonstration. 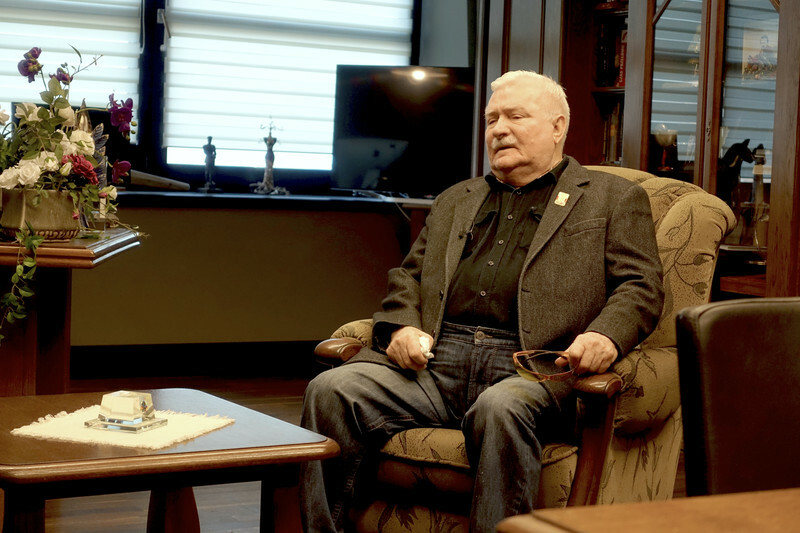 Your son, MEP Jaroslaw Walesa, abstained from voting. You said that you would reprimand him. Did you? Not yet because he has been avoiding me. However, I am joining those hanged – go ahead and hang me. If I were an MEP, I'd be the first one to vote in favour! I want to be clear – I am not looking for excuses or retracting what I said. 80 percent of Poles identify themselves as European citizens. Do you believe in this 'Europeanness' of Poles? And if so, how would you explain their support for PiS? 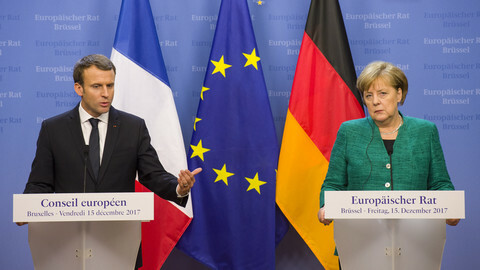 I want to appeal again to the EU: the EU needs to be either quickly renovated, or we let them dismantle it and we create a new one in its place, with clearer principles. One that clearly defines the 'rights', for example: 10 rights, and 10 obligations. And whoever does not fulfil the obligations, loses the rights. We have liberties but we do not have responsibilities – here again, lets clearly define a list of liberties and responsibilities. If we make such simple rules, we avoid such discussions as those happening about Poland nowadays. The EU is defending us but we are not defending ourselves, because it's not seen well, because one should not speak against their fatherland. It's just wrong! This was true before we were part of such organisations. Today we are a member of the European family and one has to respect family rules. Do you think Donald Tusk is a good 'president of Europe'? 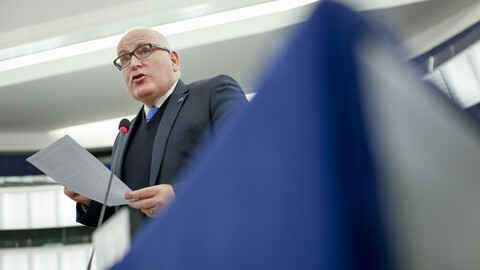 Should he continue his career in Brussels if he has the opportunity, or should he return to Poland? When Tusk became prime minister for the first time, I told him: "if you are as good at what you do as at what you say, then you're a great man". And I must say that now I am sure that he is a very skilled, great politician. This is why we should, at the least, not make his work harder. It would be good if we would be helping him, but as we are not able to, let's not make it harder for him. 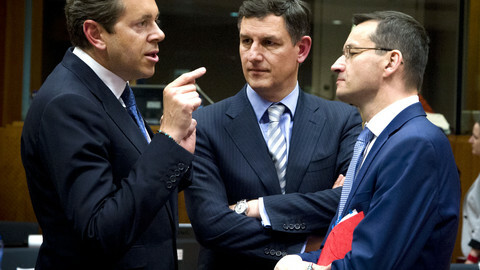 He should work at the European level, or even global, as he has an exceptional political talent. So you do not think he should come back to Poland? You know, this is contradictory. I think he would not even want to, because it would be hard to come back to the cesspool that the Kaczynski brothers and others have created here when you have a more calm option. But it's a difficult choice for him because Poland is his homeland. However, today [his] homeland has been expanded and covers the whole Europe. Did you expect such a resurgence of nationalism, xenophobia and far-right in Europe? Where there are no solutions, demons awake. I always said that this is a new era, but we're still clinging on to solutions from the previous one. The first question is: what are the foundations of Europe that bind us? In the past these were Christian, but we threw them out. These were replaced by political ones - communism and the such - we threw them out. And today we don't really have a foundation that would unite all the nations. So what we need is a set of ten secular commandments, to be agreed upon among all religions and atheists, or a tiny - really tiny! - constitution, that would serve as the foundation of our agreement. If we could agree on that, then we would face a next question: "Okay, now what about the economy? Not communism, but also not capitalism as it is now". We would need to develop amendments to the free market economy - not call it 'capitalism', but just that, 'free market economy'. And if we accomplished that, then the next question would be "and how do you control populism, demagogy and all those politicians' antics?". We clearly need something interim, that would contain that problem. In the meantime, we need to redefine the meaning of 'left-wing' and 'right wing' today. And even more importantly, we need to look, how people fit in this new era, and based on that offer organisations that would correspond to that social division. It should be organised differently, just as I had proposed 20 years ago. And what I said was that, according to me, there's a left and there's a right. What do I understand by 'left'? "I don't believe in God, state ownership". What do I understand by 'right'? "I believe in God, private ownership". That would be the first division. Second: people working jobs, belonging to trade unions etc vs owners of industry. That's what we need, for people to know how to vote. Russia spends billions on disinformation, on dividing Western societies. It has likely helped Trump win, and nearly managed the same with Marine Le Pen. How should the EU fight Putin, and does it stand a chance? Listen, first we need a diagnosis, and only then a cure. We all need to acknowledge that Russia is - mentally - lagging some 30-50 years behind the free world. There never was democracy there, there never was personal ownership for a longer period of time. They ruled with fear, and to do that, to maintain their country, they needed an enemy - a Kulak, an American, a Chechen - that's the whole philosophy. Similar to what is being done here by the Kaczynskis on a smaller scale. Now, knowing that's how Russia works, and at the same time that we very much need it, we should show solidarity. Immediately after the Russian-Ukrainian conflict erupted I publicly proposed - but no one ever listens to me - a simple thing: let's all together choose 10 people, the top experts on Ukraine and Russia, on that territory. When we choose those ten people - at NATO, at the UN, wherever - then let's ask them: 'guys, listen, you know what you're doing, make us a list of some 10 points, which, if inflicted on Russia, would force it to turn back'. Without fuss, without all that - just not buy something, not sell something else - as everyone has some business, and not everyone is happy with every business. After all of them have called him, the last one says: 'Listen Putin, look how much you have lost, how much we all have lost. Those oligarchs of yours won't tolerate that. So stop this foolishness. How do we get out of this, so that both you and us end up okay?'. Something like that. And what have we done? Everyone individually, they do something, so Putin just plays them. Not like this. The answer is simple: organised, smart action, no fuss, no fireworks, that has to lead to an agreement. You have to note one thing - Poland, the Kaczynskis, Trump, France and Germany, they're all in trouble. It all means that we're all searching, nations demand change, but politicians haven't prepared for it so there are tensions. And here's the situation: Americans elected Trump to get that change. 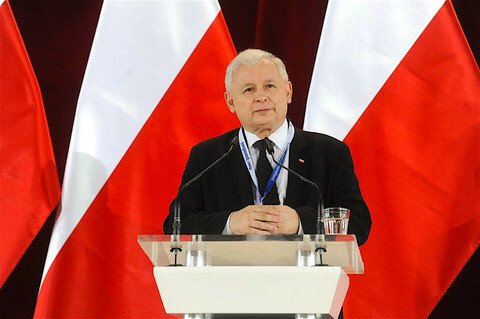 Poles elected the Kaczynskis to have change. Great. But what happened in France was the worst. I know this man, he's a nice guy. We were supposed to meet each other, during the election, but we couldn't find the time. And he's a really nice guy, but what he failed to notice is that he's undermining our wise, organised actions, the preparedness of politicians, all the programmes, knowing who sits where. And he just jumps out of nowhere, "I'm the president!". How can you govern without the right backing, without the right preparation? I think he struck a blow to democracy. And I know that parties [in France] are bad, I know they have bad seeds. But we should still help them out, control them, and commit to a wise, organised approach to governing. That's why his victory hit us so hard. If others do the same, if we give power to random people from the street, it will go badly for Europe and for the world. I'm sure someone will say: 'but you also jumped the fence! [ie during the August 1980 strike in the Gdansk shipyard] - yes, I did, but that was because of the current requirements, that it had to be a worker, it had to come as a surprise. Who did you support in the German elections? Angela Merkel with CDU/CSU, Martin Schulz's SPD, the liberals? The problem is that we have so many external issues, that we shouldn't be trying to impose further changes, further unknowns. We have known Mrs Merkel for a while, and she wasn't bad, hence I support her - despite also supporting many things her opponents said. But under these conditions we shouldn't be changing too much, it's just too risky, that's why I hoped for her to win. [interrupting] For me the question is simple: how many more times do we need to bang our heads? How much blood do we need to shed, until we start following the smart path, solving problems and serving our nations - that's the question. I'm browsing a lot through YouTube recently, and I stumbled upon a funny theory - they say that there was a similar civilisation in the past, which also had similar achievements, power plants, phones. And they're trying to prove, that this ancient civilization reached the same point that we have, more or less, and it ended due to some stupidity, like playing with atoms. I'm more and more convinced that there's something to it. We go, we struggle, and then all we need is two mad men, who press a button, and done. And we start all over again, from the stone, another 2,000 years, until we reach the same point again. We really should give it more thought. A longer version of this interview will be published in a video on the website of the Polish newspaper Gazeta Wyborzca. How powerful is Poland's Morawiecki? The new prime minister of Poland is on a collision course with the EU Commission as well as his party. 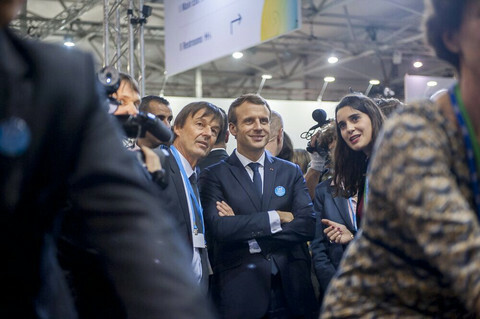 His debut appearance - and early departure - at last week's summit indicates his future is up in the air. Decision threatens biggest rift since 2004 enlargement, but commission said it was "obliged" to protect rule of law.